Liwonde National Park is Malawi's number one wildlife destination and has a wide variety of habitats dominated by broad plains on the side of the Shire River. 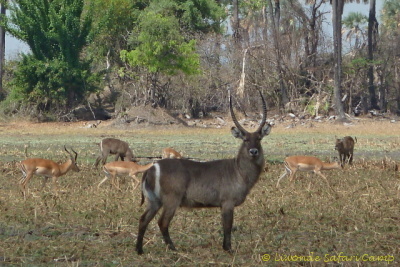 Hippos and crocodiles abound in these floodplain grasslands and large herds of Waterbuck, Kudu, Impala and Elephants are regulary seen in this open landscape. 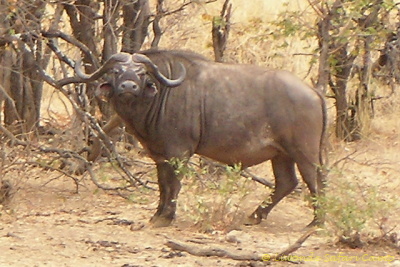 Other species that can regularly be spotted here are Reedbuck, Warthog, Yellow Baboon and Vervet Monkey. 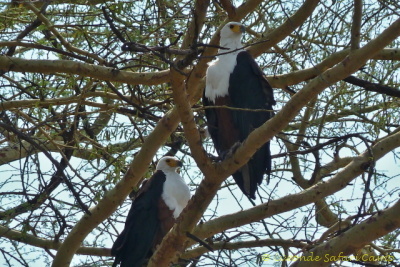 Also there are many species of birds including Fish Eagle and Saddle-billed Stork. 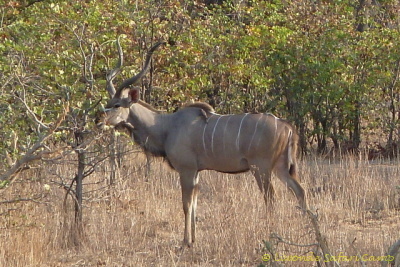 In the Mopane-woodland antelopes such as Sable, Roan, Eland, Hartebeest, Duiker, Livingstone's, Suni and Oribi are found as well as unusually large groupings of Greater Kudu. The hills of Liwonde National Park, the favourite haunt of Klipspringer, are covered with mixed woodland and together with other small pockets of dry deciduous thickets provide an ever-changing kaleidoscope of colour. Tall grass tree savanna along the narrow floodplains of the east to west seasonal streams and the riverine thickets along these streams, are frequented by Buffalo which can, at times, be counted in the hundreds. 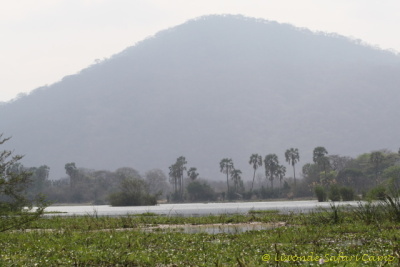 These riverine thickets are an unusually rich habitat and home to such rarely seen animals as Bushpig, Genet, African Civet, Wild Cat, Slender-, Bushy-tailed, White-tailed- and Banded Mongoose, Sun Squirrel and Clawless Otter. 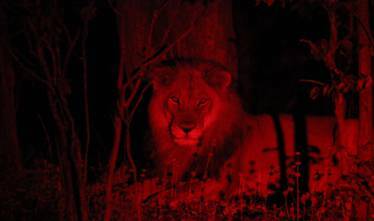 Other species that can be found in the Park are Lion and Leopard, though rarely seen, a small number of Zebra and a variety of other species such as Bushbaby, Serval, Spotted Hyena, Sidestriped Jackal, Porcupine, Pangolin, Honey Badger, Tree Squirrel, Hedgehog, Scrub Hare and Four-toed Elephant Shrew. 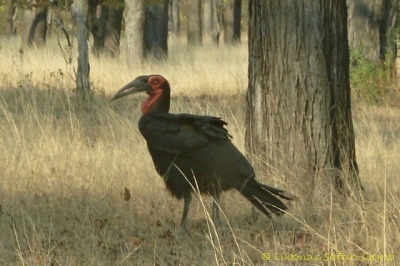 Birdlife is exceptionally varied in the Park and offers more than 400 different species.... including the rare Southern ground hornbill. 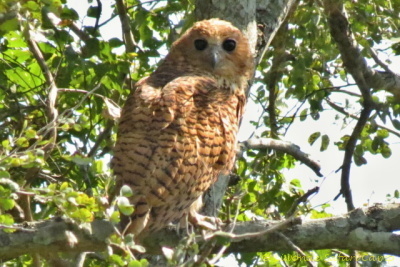 The Pel's Fishing Owl is often seen at dusk along the river's edge. 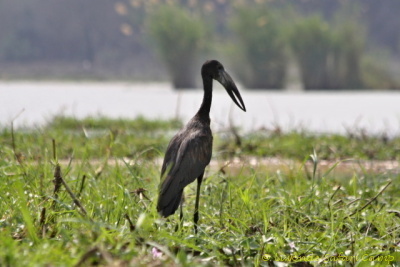 The African Skimmer and the Brown-breasted Barber are also frequently spotted. It is really heaven for the birdwatcher!